Appearance (0-20): The tobacco used for the wrapper gave this stick a nice uniform look with no visible blemishes to the leaf color. There were some small veins, though none that would appear detrimental to the smoke. The bands may not initially grab you, but it’s well done with the lion’s head logo and secondary band to notate the reserve. 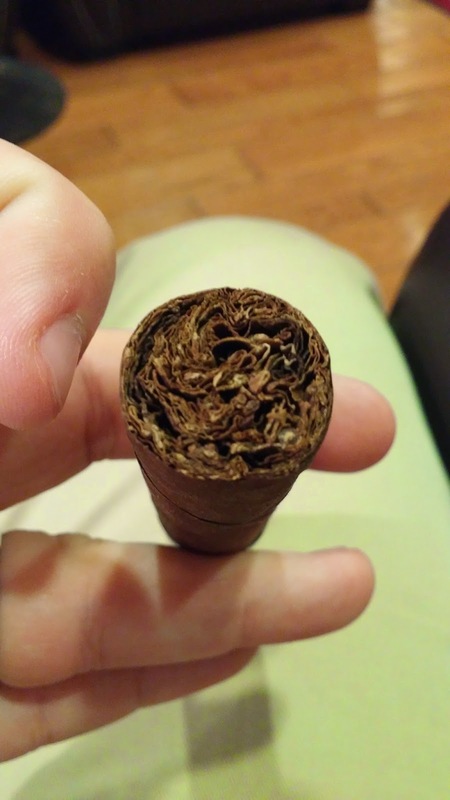 The foot appeared to have a nice rich blend of tobaccos. Construction (0-20): There was a slight oily sheen to the outside. Feeling along the stick, there were no spots that lacked or had excessive tobacco. The cap is night and tight and the initial cut revealed very little debris. Airflow was nearly perfect, though I would consider it slightly tight on the draw. After smoking it for a bit, the airflow opened up that slight bit that it was lacking and was virtually prefect. The same can’t be said of the ash, which did not keep consistent lines. 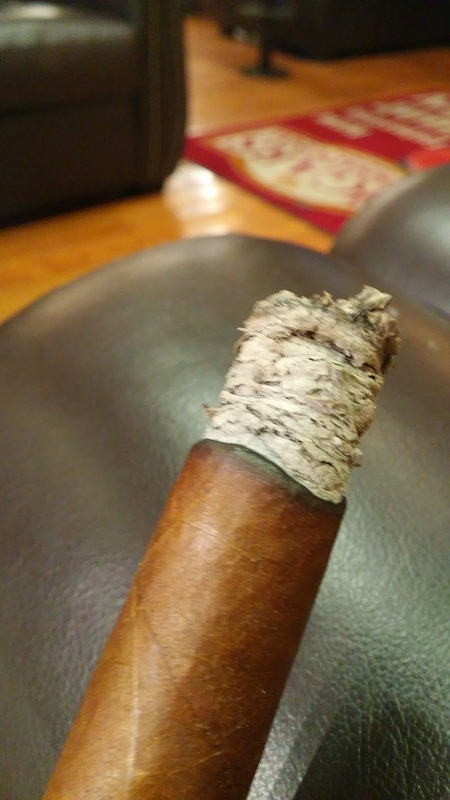 Still, the ash itself did hold on for nearly two inches each time, so the overall packing and rolling of the cigar was on point. Strength (0-20): Most information on this cigar points to it being in the medium range, and I 100% agree. If you want a cigar that falls squarely in the medium scale, this is it. Flavor (0-20): The main flavors in this are leather, wood, and pepper. They were found throughout the entirety of the smoke, with small variations as to which one of the flavors wanted to be the star at the time. Intermingled within is a sweet / nutty kind of flavor that appears initially but fades off, only to return in the final third to act as a counter balance to a coffee taste. There are some earthy tastes that are evident too at random points, though not enough to consider it a major factor. 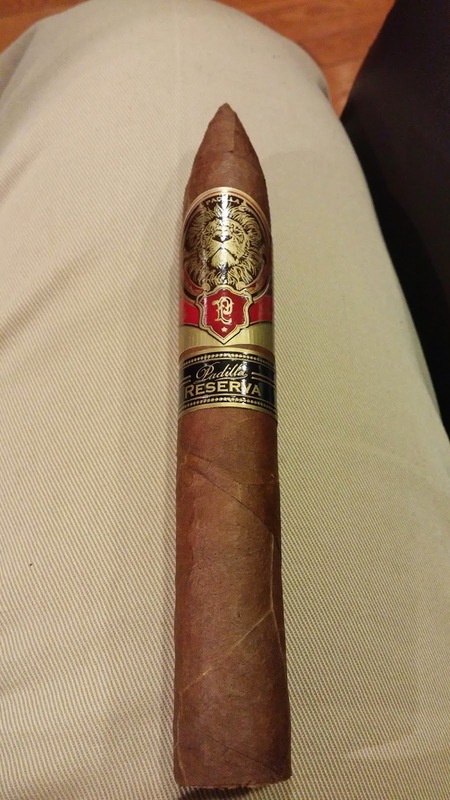 Value (0-20): The unfortunate reality of the Padilla Reserva Habano is that it’s a good stick, but not quite great for the price. 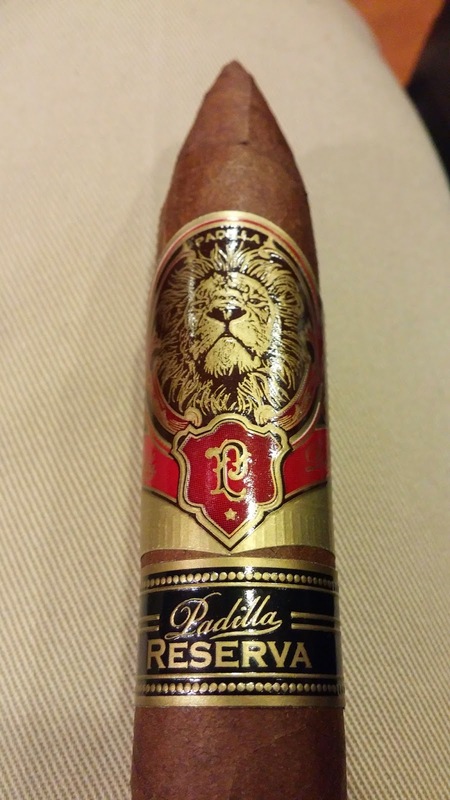 Overall (0-100): This particular Padilla, the Reserva Habano, has a really nice flavor profile (wood, leather, pepper) and sits solidly within the medium range in terms of strength. It’s well constructed with a pretty solid appearance. So it seems like it’s doing all the right things to be noticed. Unfortunately, the complexity just isn’t quite where it needs to be to be able to step up from the “getting noticed” range and into the “powerhouse” area. And at a price of $8.00 per stick, it’s got a lot of competition that outperforms it. I would still rate this one as being a safe buy, an old-reliable if you will, but it may not be the home run you are looking for.